The National Labor Relations Board and Higher Education: More change on the Horizon? 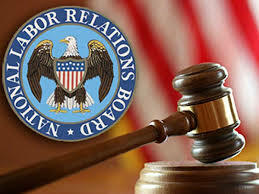 After what seemed like a small lull in NLRB activity impacting Higher Education, the National Labor Relations Board has once again signaled potentially significant alterations to the legal landscape. Just last week, the NLRB issued an “invitation” to file briefs in a case involving Pacific Lutheran University. This specific case involves the interplay between organizing rights (in this instance for adjunct faculty) under Section 7 of the National Labor Relations Act and the Religious Clause of the First Amendment, which in 1979 the Supreme Court held in NLRB v. Catholic Bishop of Chicago precludes the NLRB from becoming entangled in religious issues (in that case the Court held that the NLRB could not require a union election among lay teachers at a Catholic school). This “invitation” asks interested parties to address the appropriate test that the Board should apply under Catholic Bishop and to identify factors it should consider in determining the appropriate standard for asserting jurisdiction. But the invitation goes much further than this question which is only of significance to religiously affiliated institutions. The underlying Pacific Lutheran University case also includes a claim that the University’s adjunct faculty are managerial under NLRB v. Yeshiva University because, among other things, there are adjuncts who are voting members of the University’s Faculty Assembly, along with their tenured and tenure track faculty. 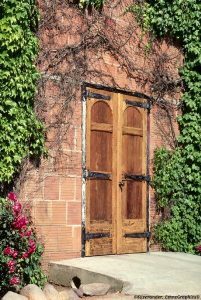 The invitation, therefore, also requests interested parties to identify those factors that the Board should consider most significant in making a managerial determination, as well as what evidence should be required to establish that faculty “effectively control” decisions. In particular, the Board has solicited information on whether there have been “developments in models of decision making in private universities since the issuance of Yeshiva that are relevant to the factors the Board should consider in making a determination of faculty managerial status?” What is the significance of this invitation? It likely signals some significant changes in the near future. The fact is that unless the Board were inclined to consider some dramatic moves in these two areas, it would not have needed (or wanted) to solicit briefs on these issues. Stay tuned - given the recent history of this Board, significant change is almost certainly on the horizon.